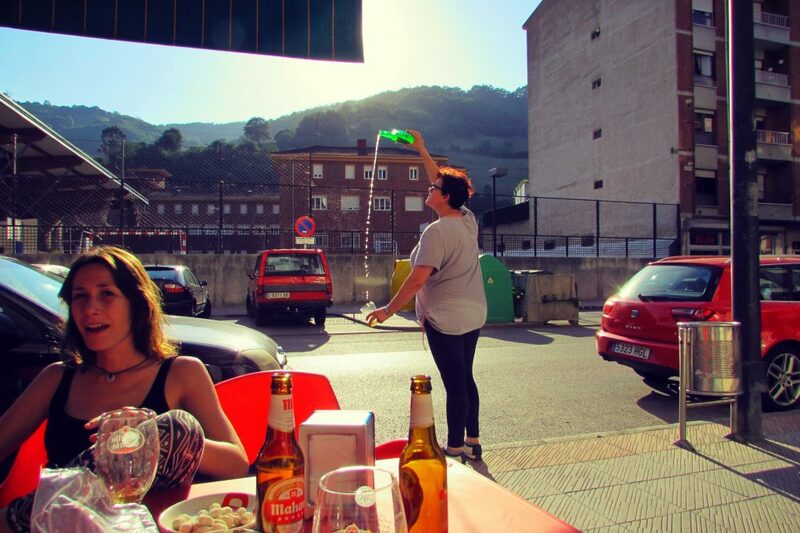 My girlfriend Rosana was born and bred in Asturias so I’m fortunate to have experienced this outrageously beautiful part of northern Spain from a local’s perspective. 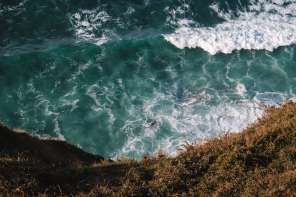 From the must-see cultural attractions, best beaches, fishermen’s villages and cities to the most delicious bites and natural beauty spots, this is your essential guide to the best things to do and see in the “natural paradise” of Asturias. 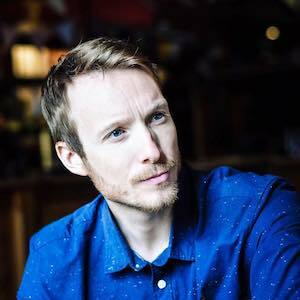 Words and photos by your cheese-nibblin’, cider-guzzlin’, mountain-meanderin’ guide, Ben Holbrook. Asturias, Northern Spain ~ A Natural Paradise. 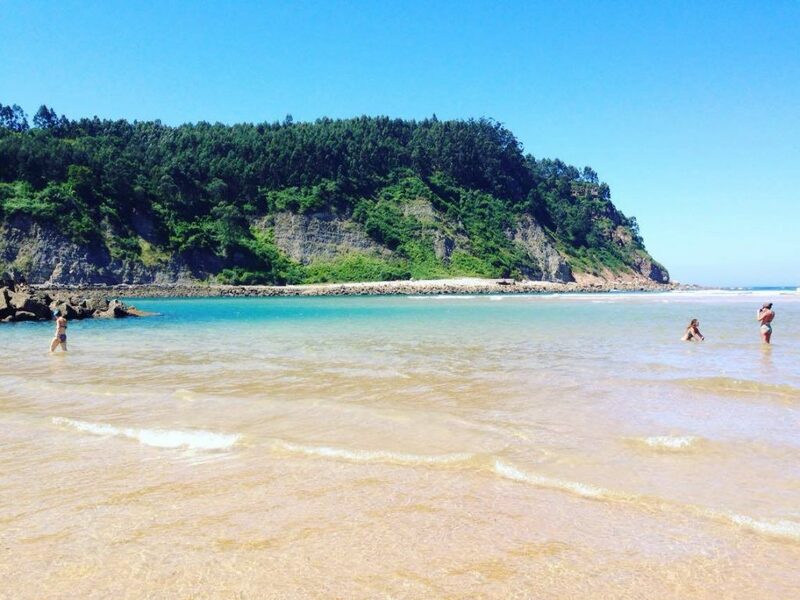 Whether visiting for summer holidays, to meet Rosana’s family and friends or to attend weddings, I’ve been to Asturias quite a few times now and it never fails to inspire me with its impossibly green mountains, pristine beaches, idyllic coastal cities and hearty cuisine. The locals, too, are an extremely welcoming bunch, ever willing to share their Celtic heritage with you, constantly nudging glasses of their uplifting cider under your nose and tempting you with plates of their world-famous seafood and cheese. 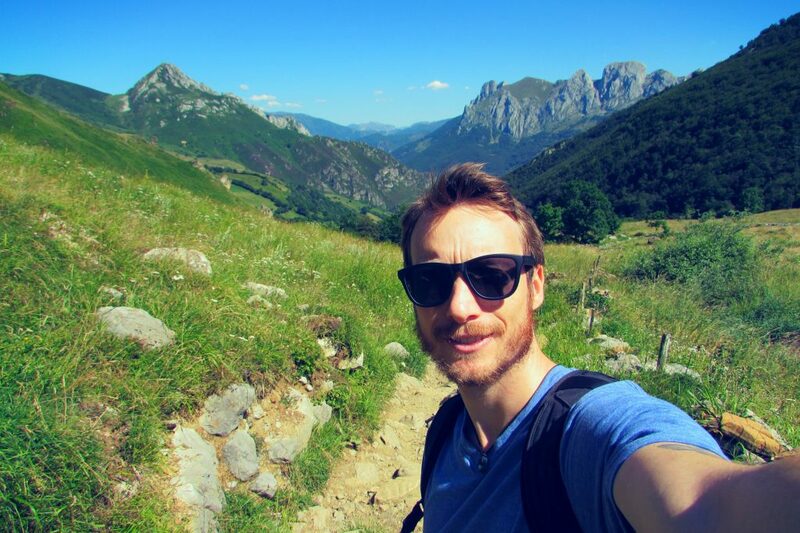 In fact, I’m convinced that Asturias is the perfect place to get far, far away from Spain’s brutally-beaten tourist trail and experience something that has somehow managed to remain… real. 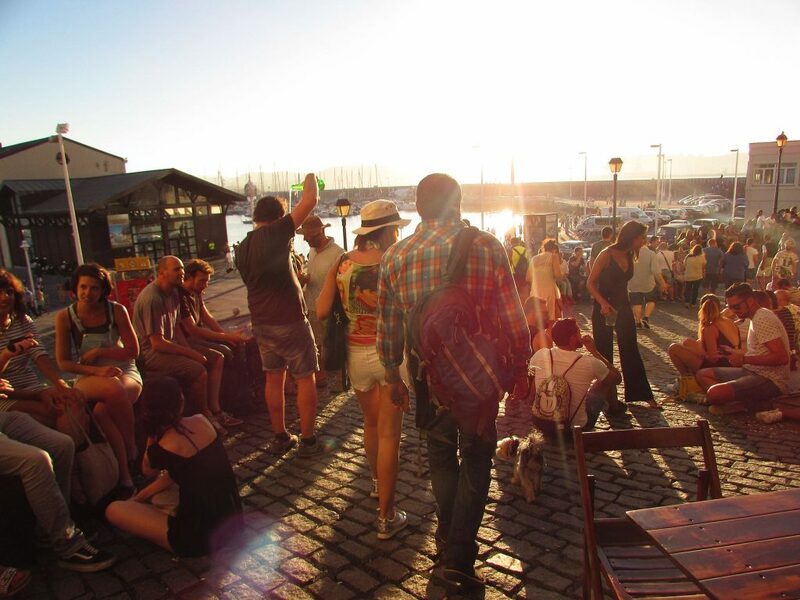 Cider pouring and tapas touring ~ Cuesta del Cholo, in Gijon’s old fishermen’s quarter, is the place to be. Probably my favourite place in Asturias, Gijón (or Xixón as the locals call it) is a colourful seaside city that boasts both traditional maritime charm and modern town planning – there are even Roman ruins to explore. It’s actually bigger than Oviedo, Asturias’ official capital city, and its industrial roots give it a gutsy sense of purpose – this is a real, living, working city. Seasoned by the salt of the Cantabrian Sea on which it resides, Gijón’s pedestrianised streets and dedicated cycle lanes are perfect for exploring on foot or by bike/skateboard as the local beach bums do. 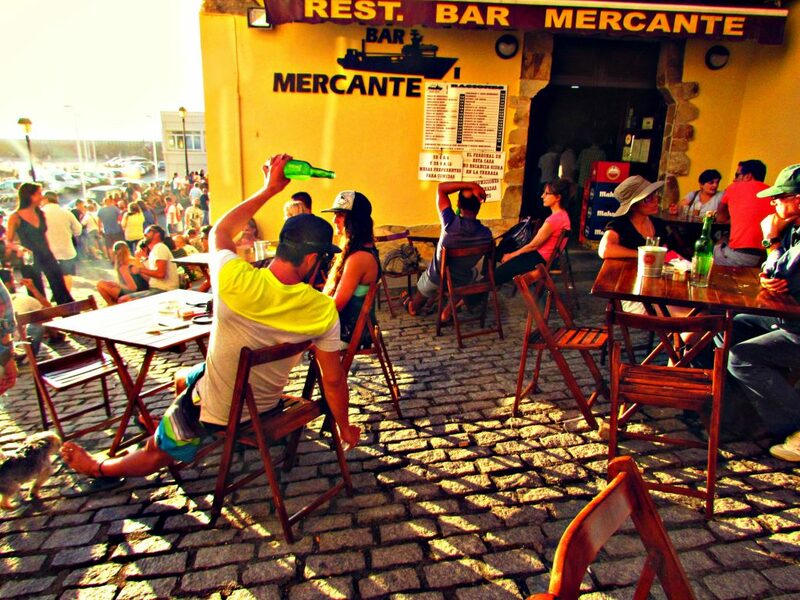 Don’t miss the tapas bars and sidrerias on the happening Cuesta del Cholo street in Cimavilla, the old fishermen’s quarter, where you can hang with the locals whilst enjoying sardines and perfecting your long cider pour. 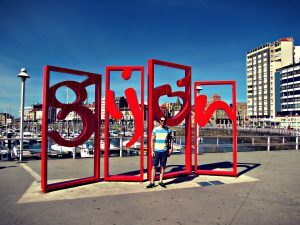 Note: I would highly recommend setting up base here Gijón for your trip to Asturias (more accommodation info at the bottom of this post). 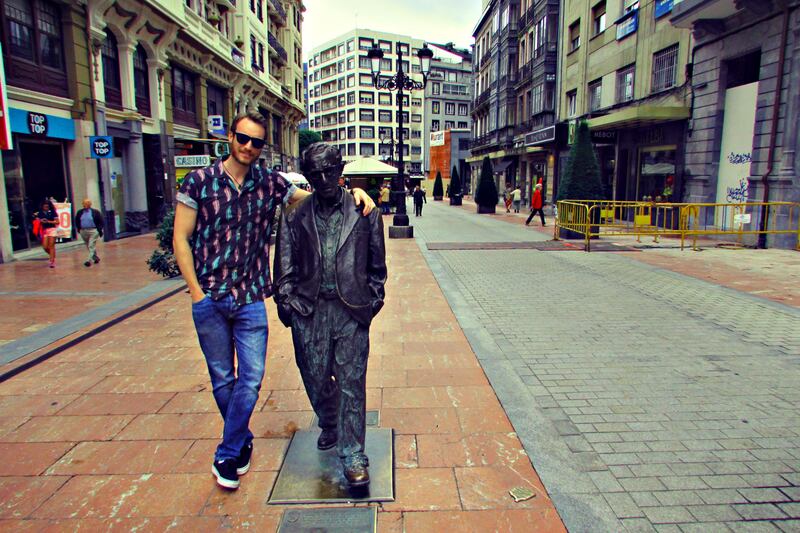 Spending some time with Woody Allen in Oviedo, Asturias’ regal capital city. 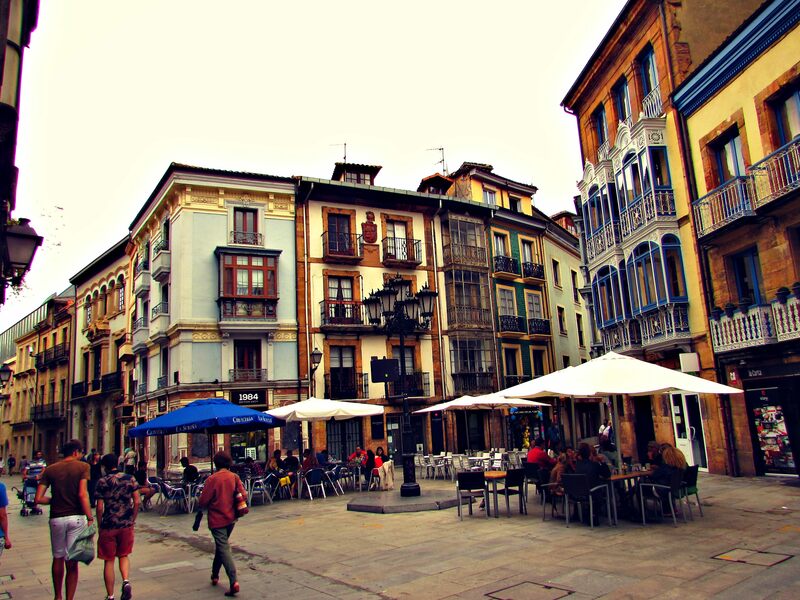 With architecture that dates back to the early Medieval period, verdant parks and an sophisticated air or regalness, Oviedo is a confident, striding city. Oviedo feels different to the rest of Spain and I constantly find myself failing when trying to find any real similarities with other Spanish cities. And like Gijón, a thriving student population and strong manufacturing industry – weapons and textiles apparently – lends the city a sense of independence and authenticity. 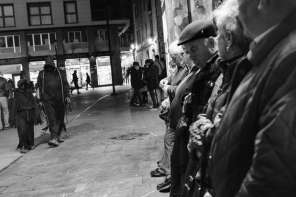 Oviedo – a confident, striding city. 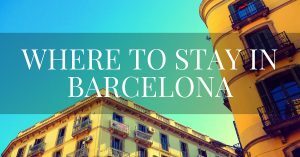 Wander the old town, hop from wine bars to sidrerias, nibbling cheese and jamón as you go, and be sure to pose for a photo with the Woody Allan statue, which was the city’s way of saying thank you to the famous director for featuring it in the film Vicky Cristina Barcelona. 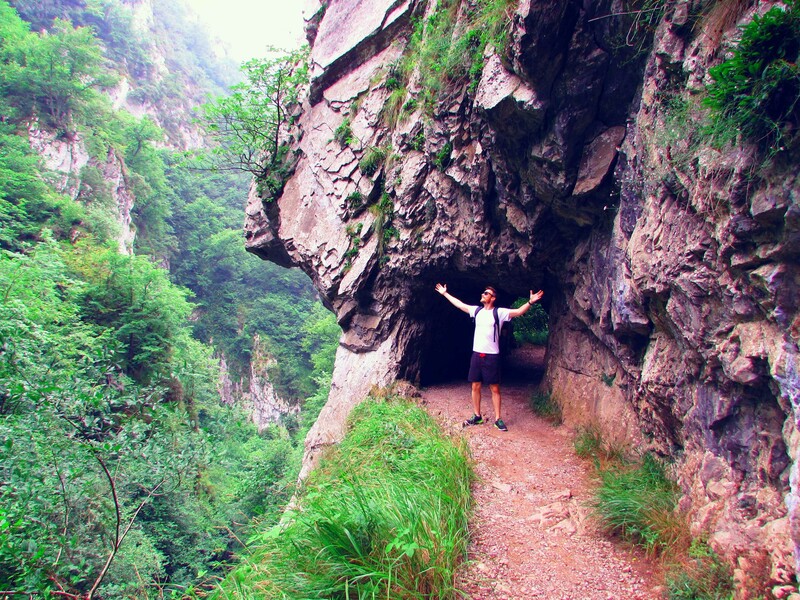 Hiking the picos de Europa, Asturias’ mythical mountain range and Spain’s first official National Park. Piercing the sky, these jagged, cragged, cow-grazing mountains are trademarks of Asturias’ Mordor-like landscape. 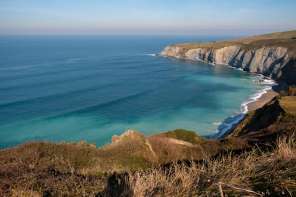 They were named “The Peaks of Europe” by old sea-dogs returning from far off lands because the mountaintops signalled that they were nearly home, back in Europe. Rosana and her family hugging the cliffs of the Picos de Europa. Vertiginous, lake-laden, chestnut-charged and eucalyptus-fresh, they’re traversed by countless trails and inhabited by the luckiest cows and sheep on earth. Asturias is famous for its milk and even more so for its cheese (more on that later). I’ve hiked the Ruta del Cares and Camino Encantado, among other trails, with Rosana’s friends and family. We chose these routes because they’re a bit more accessible – Alejandro, Rosana’s father, had a heart-attack a few years back and young Dani’s little legs aren’t quite up to the more intense climbs of the other routes. Although I’d like to emphasise that the routes we did we were by no means a walk in the park. NOTE: You’ll see funny little wooden houses on stilts all over Asturias, especially in rural areas near the Picos de Europa hiking trails. They’re called “hórreos” (granary/storehouse) and they were designed to keep grain and animal feed safe from rodents and other hungry scavengers. Mejillones vingaretta in Gijon, Asturias. Drawing on produce supplied by the Atlantic Ocean, endless stretches of verdant pasturelands and sky-piercing, river-roaring mountains of the Picos de Europa, Asturian gastronomy is a treasure trove of fresh and salt water fish, spectacular shellfish, quality beef – Asturian beef is actually protected and controlled by the denominación de origin – tender cabrito (baby goat), as well as wild boar, free-range chicken (pitu de calella). In other words, if you like meat, you’ll love Asturias. But, if there’s one thing Asturias is known for above all else, it’s cheese. 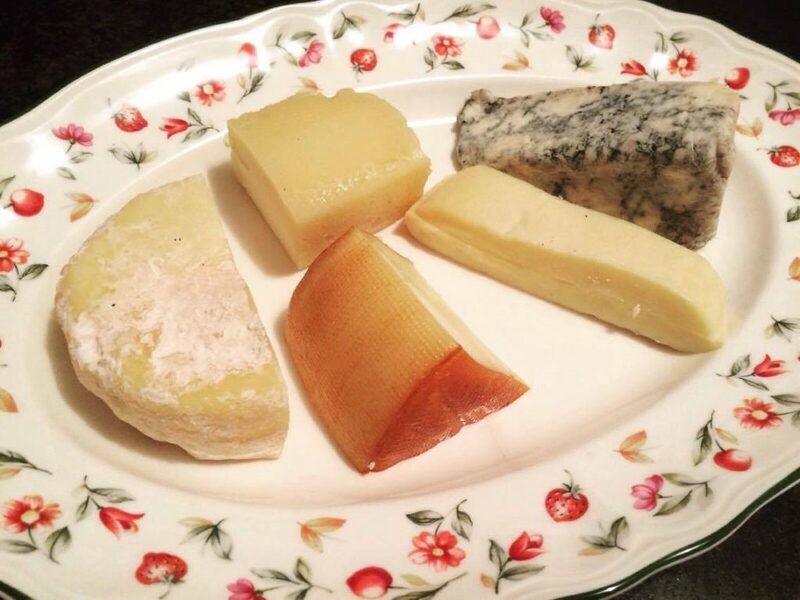 Asturias is heaven for cheese lovers. Oh, and the crisp and uplifting cider. Proper Asturian cider pouring. Our waitress “breaking” the cider before passing it to us to gulp down in one. They say Asturias is a “Paraíso Natural” (Natural Paradise), and I must admit that it’s a more than fitting strap line. The beaches tend to be vast, sprawling and untamed affairs, with perfect sands and crystal-clear waters that throb like heaven in the sun. And there’re just so many of them, meaning they’re rarely over-crowded like many of the beaches elsewhere farther south in Spain. 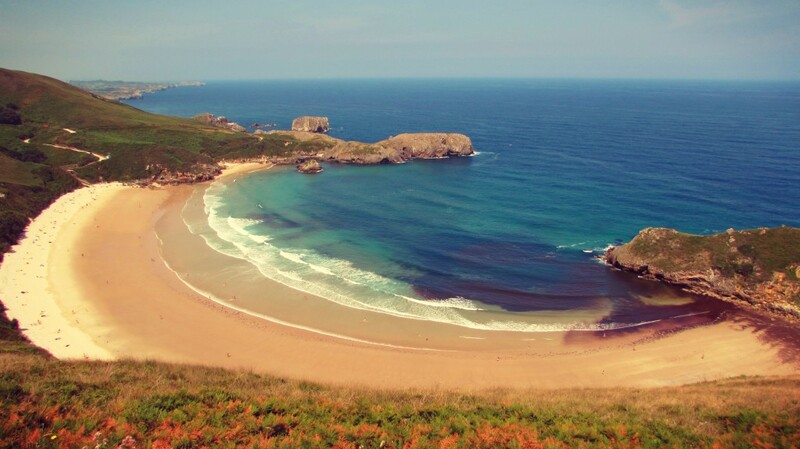 Rodilles beach – one of the best places to surf in Asturias. Rodilles beach is one of the best places to go surfing in Asturias. The water is completely clear and the sand soft and bright. Stroll around the eucalyptus forests and follow the boardwalks to find bars, restaurants and old fashioned ice-cream trucks. It really is quite extraordinary. Torimbia beach, one of the many paradise beaches surrounding Llanes. 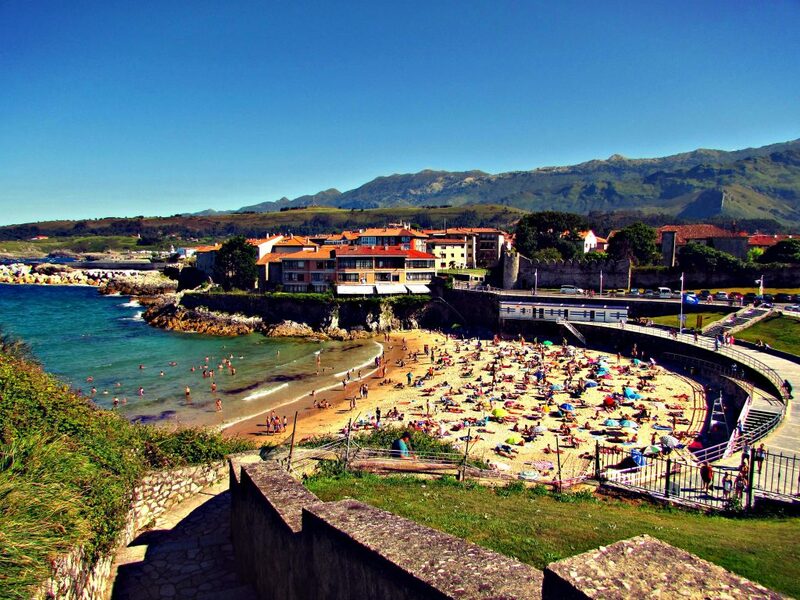 All of the beaches around Llanes! I went to Torimbia beach, which was wild and free and spacious, but there are so many to choose from in this little beachy utopia. Visit the tourist board website to get more details. Ask the Spanish where they go for their holidays and you’ll soon come to the conclusion that they don’t leave the country. And when you consider just how much there is to do and see, it’s easy to understand why. 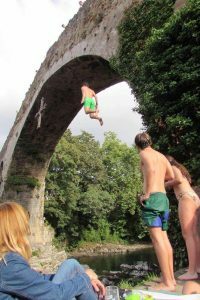 In fact, many of the Spanish come to Asturias – especially from southern Spain where the searing summer temperatures make daily life a chore. Llanes is one of the beach towns that has become a mecca for Spanish holidaymakers, but don’t let that put you off. It’s nothing like the Brit-bombarded, German-towelled “package resorts” that many of us have come to know. Stroll the old streets and market squares, stopping off for cider and fish tapas at one of the many sea-facing restaurants and bars along the way. 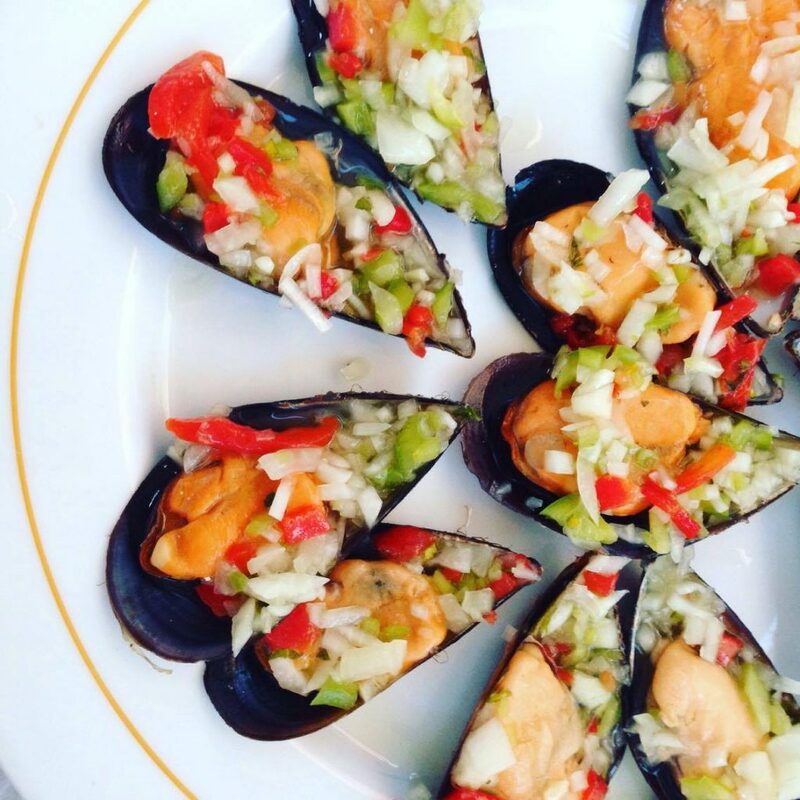 Do as we did and enjoy a sensational marisco (seafood) feast at Los Piratas del Sablón, a rustic restaurant filled with tanks full of crabs and lobsters – this is as fresh as it gets! 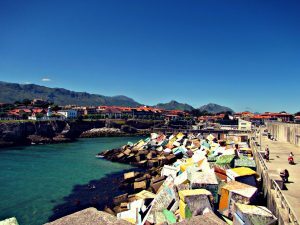 Llanes’ coastal path, the perfect place to burn off your seafood lunch. 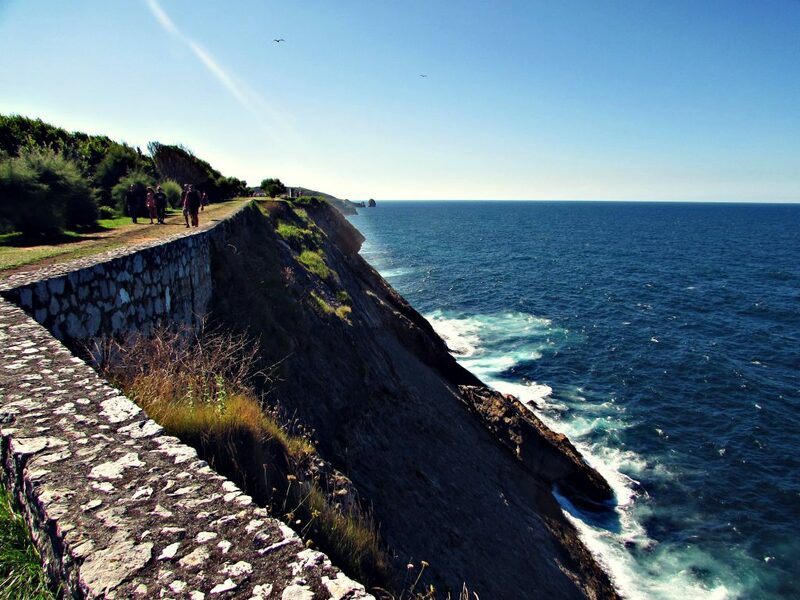 Burn off the booze with a walk along the coastal path that traces the cliffs of Llanes and enjoy the rugged views across the galloping white-horsed Bay of Biscay. Asturias’ bizzarre ‘Casonas de Indianos’. 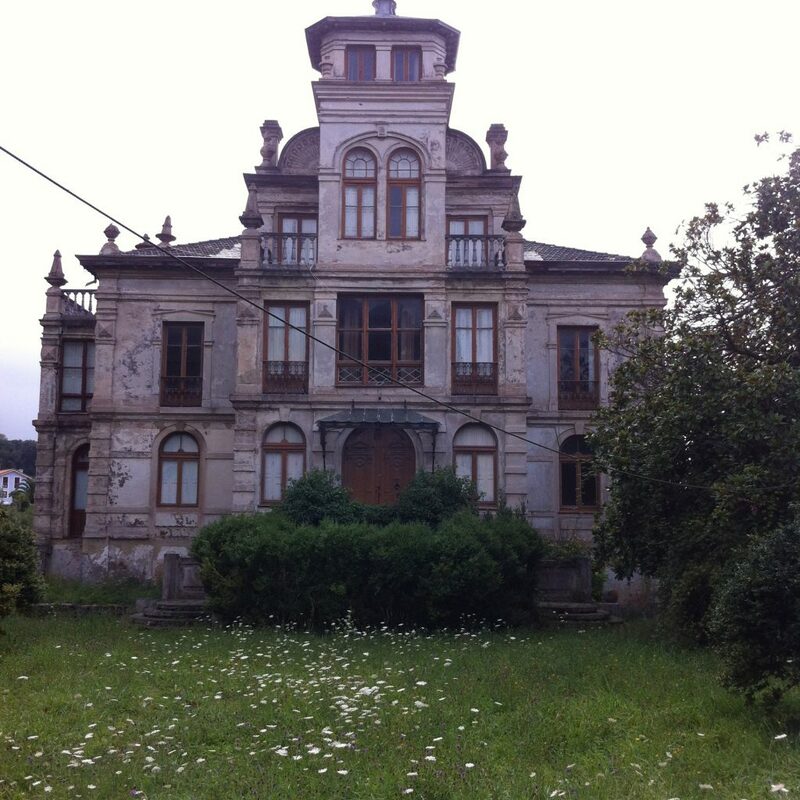 Driving around Asturias, especially around Llanes, I was struck by the volume of large mansions that I saw sitting empty like abandoned haunted houses. They are, as I was later informed, part of the legacy of emigrants who left Asturias to make their fortunes in the New World – Cuba, Mexico, Argentina, Venezuela – in the 19th century. 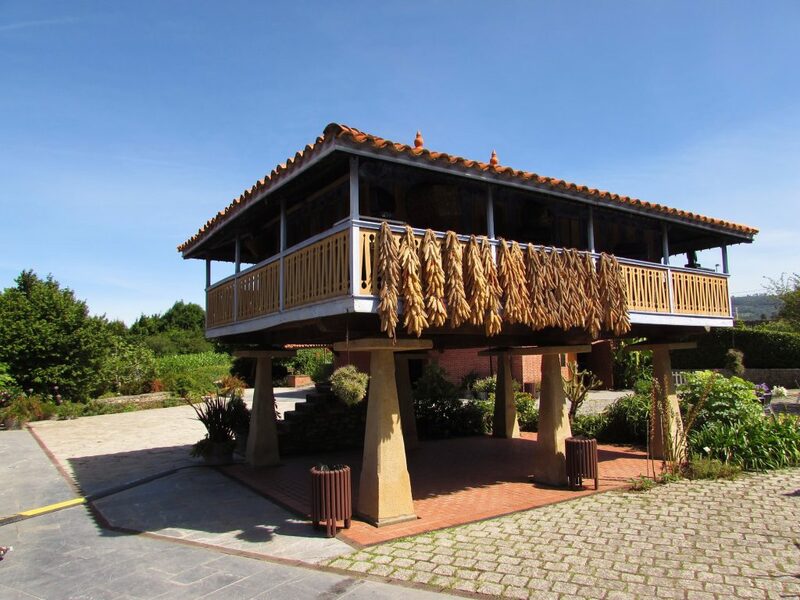 Many local entrepreneurs became wildly successful within the tobacco, textiles, and banking industries, returning to Asturias to build large houses as symbols of their newfound wealth. To this day, Llanes still has ties with Mexico and the two places remain “twinned”. Interestingly, as I learnt on a separate trip to Galicia (Asturias’ neighbouring community), many of the emigrants found nothing but disappointment in the New World, leaving their families behind forever because they could never afford to travel back to Spain. Many of the Asturias’ casas de indianos have been left to rack and ruin, but some have been lovingly converted into luxury hotels and I believe they make for the ultimate place to stay whilst in Llanes or Asturias in general. Hotel Peñalba, designed and built by a disciple of Antoni Gaudi, the famous Catalan architect who made Barcelona what it is today. Quinta de Villanueva was completed in 1908 and boasts handsome interiors and lavishly-landscaped gardens. Villa La Argentina in Luarca. Casona de la Paca in Cudillero. La Casona de Amandi, a rural retreat that’s perfectly located for exploring the best of Asturias. Cudillero, tumbling into the sea like paint-dunked-dominoes. A kaleidoscope of colour, this historic fishermen’s village tumbles into the sea like paint-dunked-dominoes. The main square, seagull-squawking and clock-tower-donging, is a hive of touristy activity, complete with The Godfather themed bars and tapas terraces. But get lost in the higgledy-piggledy backstreets and you’ll soon find scenes of timeless local life: people clipping their finger nails out of the window, fish being pegged out on clothes lines to dry in the sun, grandmas heading out for an afternoon of gossip hunting and vino slurping with the good ol’ boys at one of the smoky old dive bars. 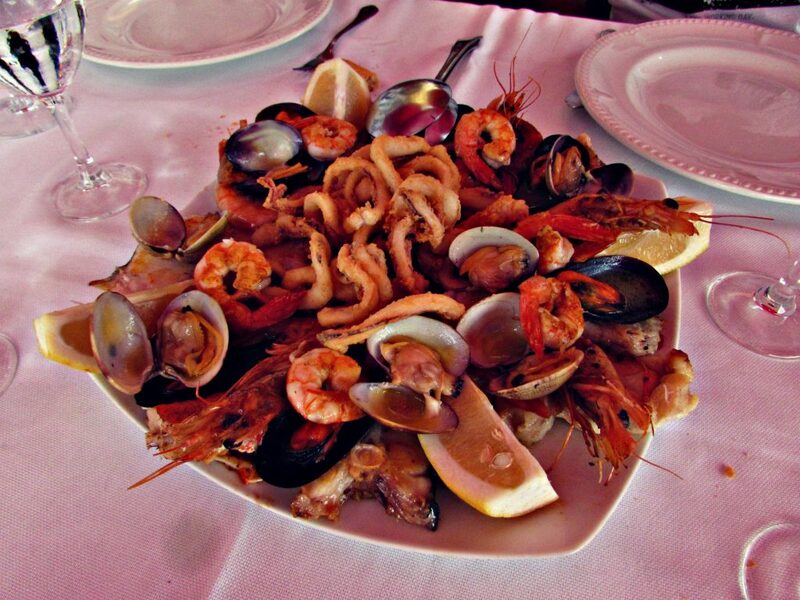 Sensational seafood at the Hotel el Pescador in Cudillero. 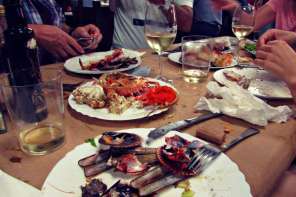 Don’t miss a marisco (fish and shellfish) lunch feast at the elegant Hotel el Pescador (Fishermen’s Hotel), which I was fortunately taken to by Rosana’s friends who are from the area. 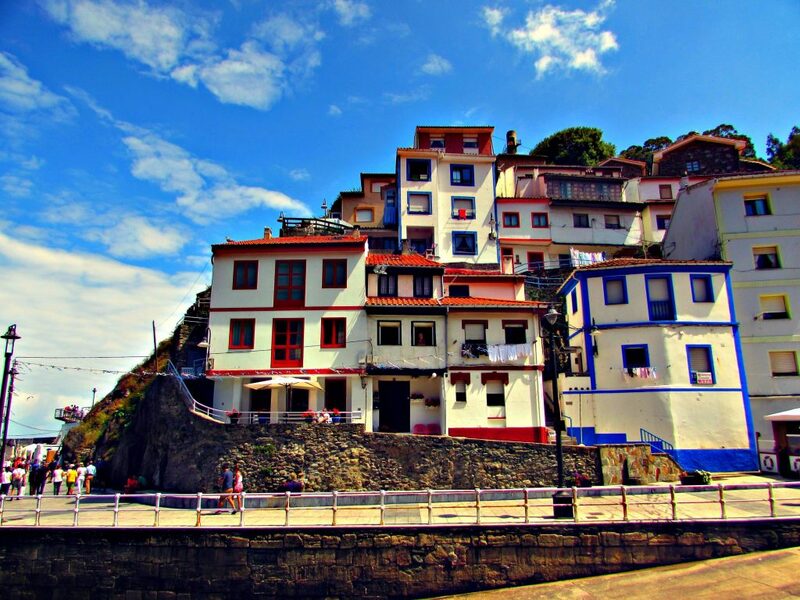 It’s also a great place to stay if you want to spend a bit more time in Cudillero. King Pelayo was a Visigothic nobleman who the Asturians hail as a hero for founding the Kingdom of Asturias, which he ruled from 718 until his death. 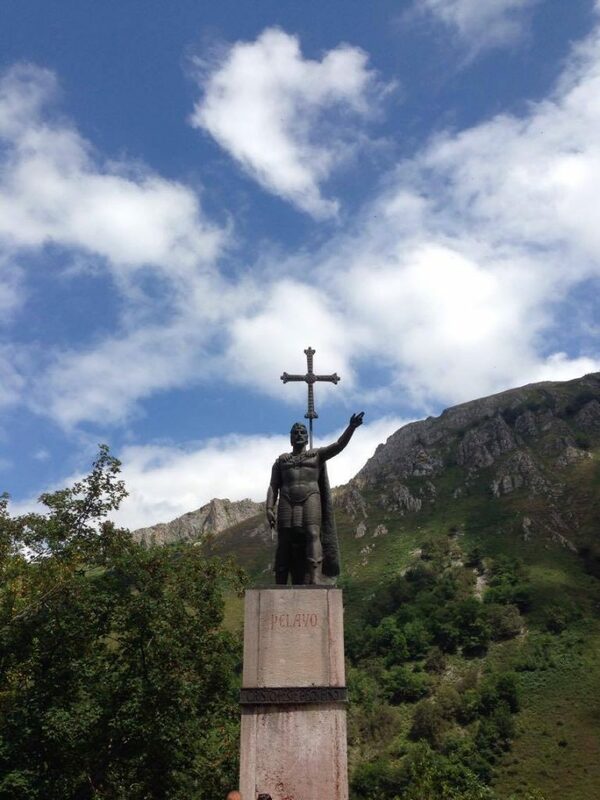 Though Spain’s history is littered with stories of legends and barbaric battles, Pelayo is significant because he won the Battle of Covadonga, marking the beginning of the Reconquista (the reconquest of the Iberian peninsula from the Moors, which took around 770 years). King Pelayo led Spain during the fight against the Moors. “We say that Asturias is the real Spain,” Rosana explained to me as we posed for photos at the statue of Don Pelayo, “and that the rest of Spain is conquered land”. 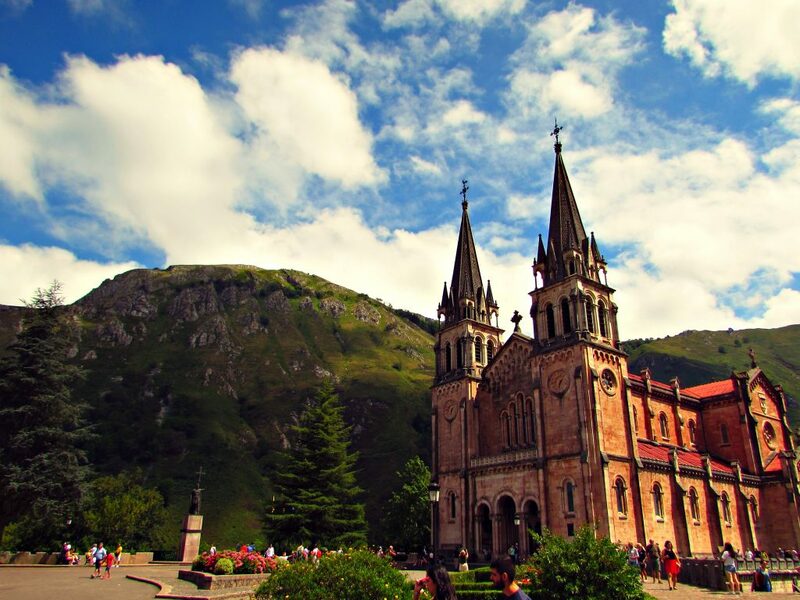 Though you’ll see shrines to Pelayo throughout Asturias, one of the must-see sites is the statue outside of the sky-piercing, Neo-Romanesqu Covadonga Sanctuary, which is a pilgrimage location complete with the cave-dwelling Virgin of Covadonga. 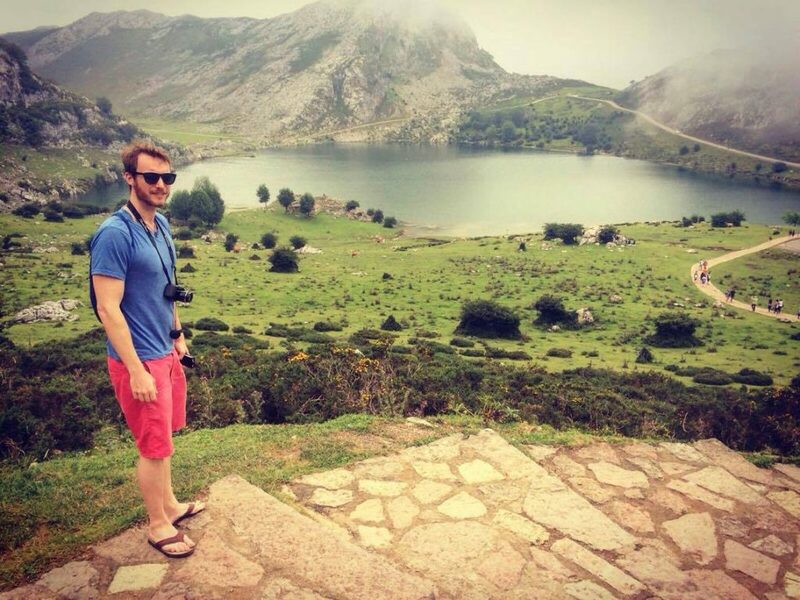 Me dressed completely inappropriately for our hike to the Covadonga Lakes. From the Covadonga Sanctuary you can jump on a bus (I think it was about €4 per person) and enjoy the heart-in-your-mouth ride up the snaking, cow-crowded roads to the beautiful Covadonga Lakes. Once at the top you can enjoy the vast and completely untamed vistas and take the moderately easy walk to the two glacial lakes – Ercina Lake and Enol Lake – which are perfect for picnicking and reflecting. Note: Just to give you some perspective, Ercina Lake resides at 1,108 metres above sea level. 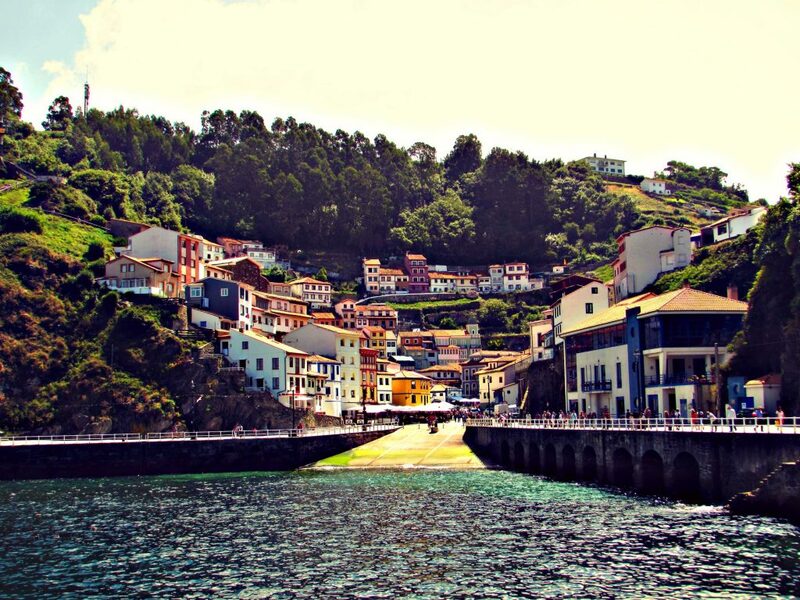 Remember Asturias’ nickname, A Natural Paradise? 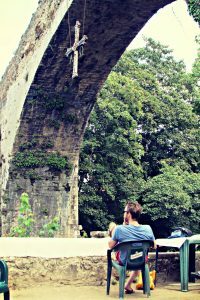 Probably the most iconic symbol of Asturias, this Medieval (late 13th century) bridge is located in the historic town of Cangas de Onís, an essential stop off point whilst exploring Asturias. 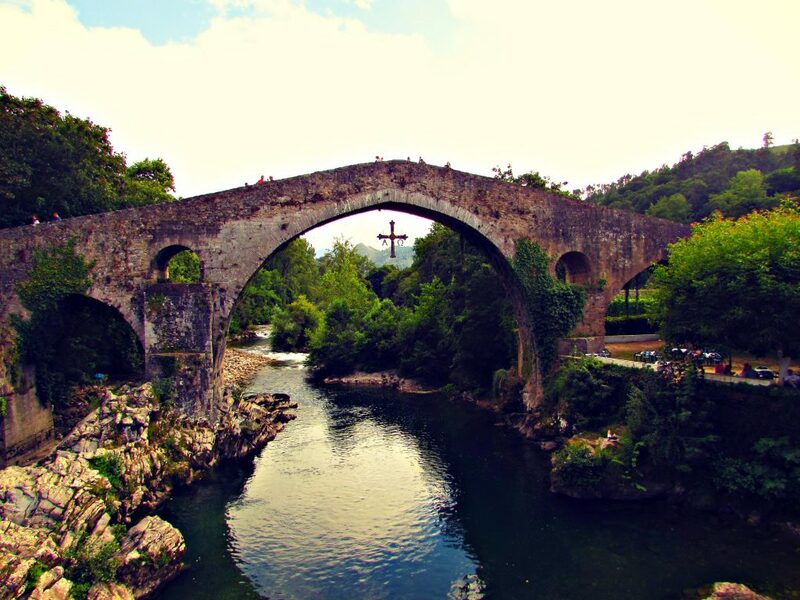 The bridge crosses the Sellar River and features a replica of the ‘Cruz de la Victoria’ (the victory cross), which is the symbol that adorns Asturias’ flag and celebrates the victory of King Pelayo over the Arabs in Covadonga. Don’t miss the little restaurant/bar terrace that overlooks the river and bridge where you can enjoy a glass of Rioja whilst soaking up the history. Gijón is close to the airport, has everything good about Asturias – beaches, gastronomy, history and culture – and it’s also close to many of Asturias’ main sites and attractions. On a tight budget (Double rooms from €30 per night) ~ Centrally located and with modern facilities, the Hostel Gijón Centro is the perfect budget choice. 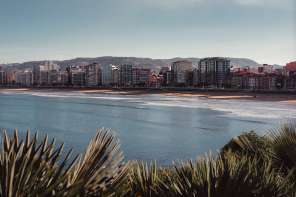 The 2-star Hotel Valdés is another good and cheap option..
Mid-range convenience and comfort (Double rooms from €45 per night ~ To stay in the heart of Gijon, just a stroll away from the beach and old town delights, consider the 3-star Hotel Blue Santa Rosa, which is clean and modern and has parking. The Hotel Central is another excellent mid-priced option. Rural chic at classic a ‘hotel de indiano’ style mansion ~ Hotel Quinta Duro is a beautiful old mansion with just 11 rooms. It sits in its own manicured gardens and is perfect for those who don’t necessarily want to stay in Gijon but still want to be able to pop in for the day. Apartments in/near Gijon ~ The Apartamentos Rurales Son de Mar are located about 4 km outside of Gijon and are perfect for groups and families. The Apartamentos Hevia are a little farther out of town, about 12 km, but they really are sensational. All out luxury ~ The chic and traditional 4-star Hotel Hernán Cortés is right in the thick of all the action, and relatively affordable such a nice (and central) hotel. The brighter and more contemporary Tryp Gijón Rey Pelayo Hotel is situated a bit farther out from the action but is still walkable, and the spacious AC Gijón Marriott Lifestyle Hotel offers free parking. The Spanish refer to Asturias as a “paraíso natural” (Natural paradise) and the region boasts a rugged Atlantic coastline with blissful beaches and magnificent mountains, including the awesome Picos de Europa (Peaks of Europe Mountain Range), which was Spain’s first official National Park. 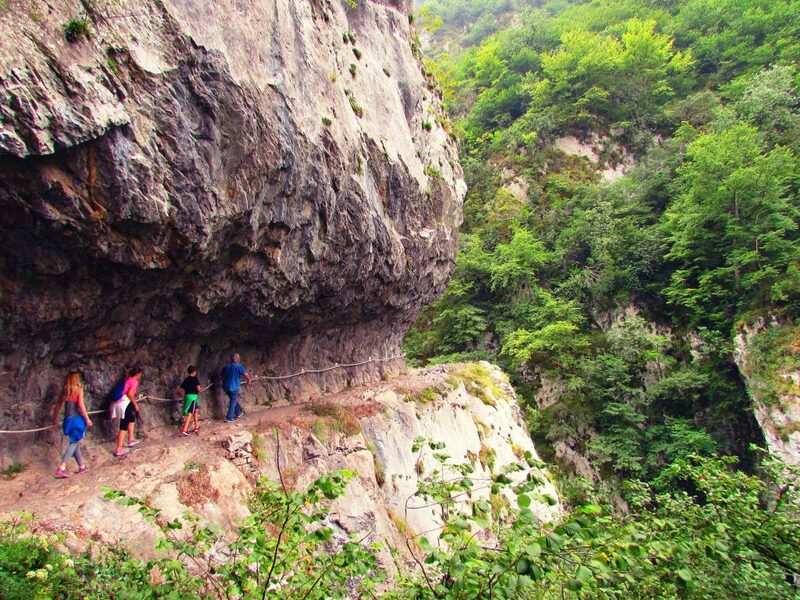 Asturias’ natural assets make it perfect for adventure sports lovers, with world-class hiking, cycling, surfing and plenty more. 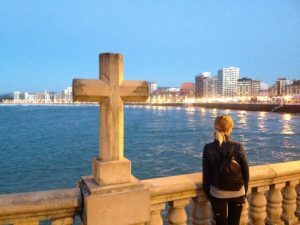 The capital city of Asturias is Oviedo (yes, the pretty town you’ve seen in Vicky Cristina Barcelona), but the charming maritime seaside city of Gijón is actually bigger. Avilés is the other main city of Asturias. Asturias has a wealth of historical and cultural heritage and is, unlike the majority of Spain, Celtic (bagpipes and all!). Asturias has a mild humid temperate climate, with cool, rainy winters and sunny summers (with the occasional rain shower). What you really need to know is that it’s a good place to go in the summer – between July and September – when it’s just too hot to explore the rest of Spain. Asturias’ official language is Spanish, but there is a local dialect called Bable, or simply, Asturiano. It’s quite different, but easy enough to understand once you get into it. If I can do it, anyone can. Asturias Airport is Asturias’ only international airport. 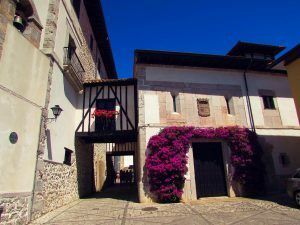 Belying its airport code (OVD), however, it’s located in Santiago del Monte, in the borough of Castrilló, about 40 minutes’ drive from Oviedo and about 30 minutes’ drive from Gijón. Thank you for this amazing article – Very helpful and makes us excited for our trip next year! Gracias Neal and Billie! 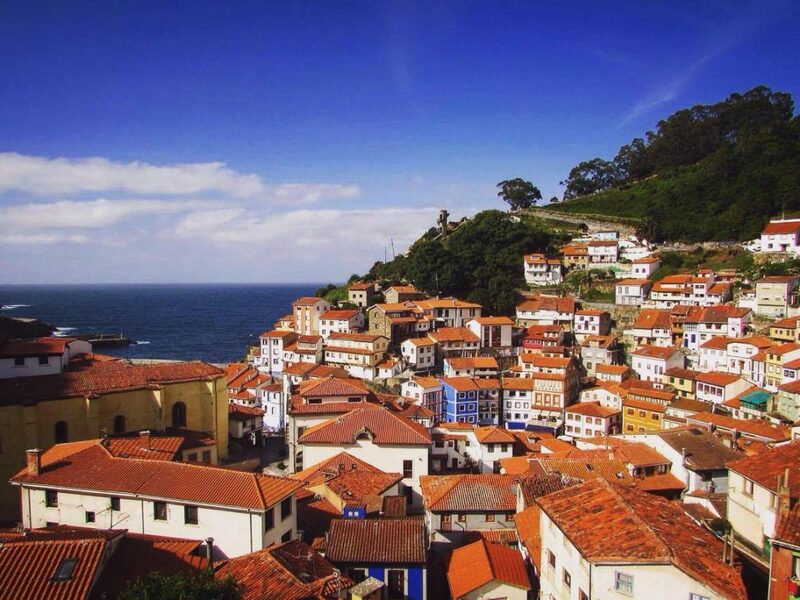 You’ll love Asturias, I have no doubt! Disfrutar (and eat mucho!). Hey Ben! I absolutely agree with every place you talk about! 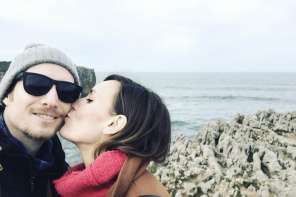 My husband and I visited Asturias and Cantabria last month and fell in love with those two regions. Can’t wait to return! Gracias Anya! Glad you enjoyed it – it is indeed beautiful here. Let me know next time you make it here.